Diversity, inclusion and equity are values that Local First Arizona embraces in order to lead the development of an economy grounded in local ownership that meets the basic needs of all people, builds local wealth and social capital, functions in harmony with our ecosystem, and encourages joyful community. It is our belief that such an economy cannot be fully realized if people are excluded from full and fair participation as a result of racism, poverty, discrimination, cultural ignorance, bias or other conditions of exclusion. We also believe that practicing diversity, inclusion and equity enhances our membership, advocacy and mission. Therefore, we are intentional in our practices to be an organization inclusive of ethnic, racial, cultural, gender, age, religious, disability, family status, sexual orientation and socio-economic diversity in all areas including programming, membership, hiring, and beyond. The wide range of national, ethnic, racial and other backgrounds of U.S. residents and immigrants as social groupings, co-existing in American culture. The term is often used to include aspects of race, ethnicity, gender, sexual orientation and much more (Institute for Democratic Renewal and Project Change Anti-Racism Initiative). Equity is just and fair inclusion into a society in which all, including all racial and ethnic groups, can participate, prosper, and reach their full potential. Equity gives all people a just and fair shot in life despite historic patterns of racial and economic exclusion (Policy Link---All in Nation: An America that works for all). Inclusion authentically brings traditionally excluded individuals and/or groups into processes, activities, and decision/policy-making (Crossroads Charlotte Individual Initiative Scorecard for Organizations). We ARE PROUD TO BE the first business organization to sign the Unity Pledge. ONE Community's UNITY Pledge is a concerted effort by Arizona businesses, organizations and individuals to advance workplace equality and equal treatment in housing and public accommodations for Lesbian, Gay, Bisexual, and Transgender (LGBT) individuals and their allies. Learn more and sign the pledge. 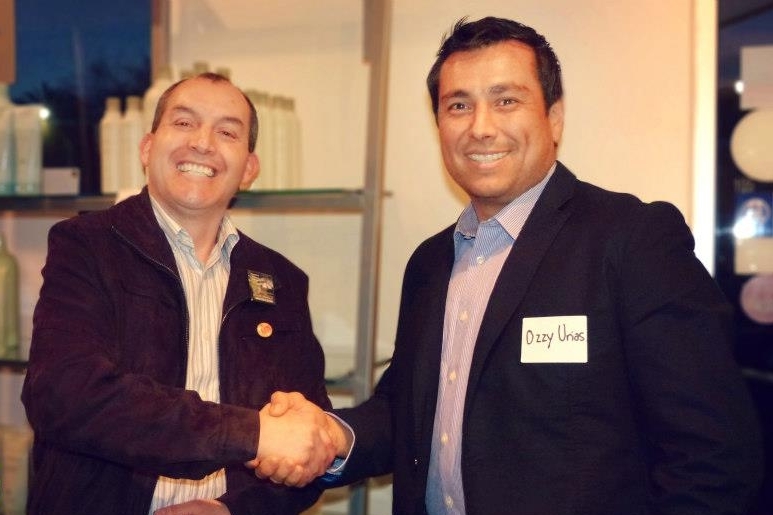 We founded Fuerza Local to make our membership program bilingual. 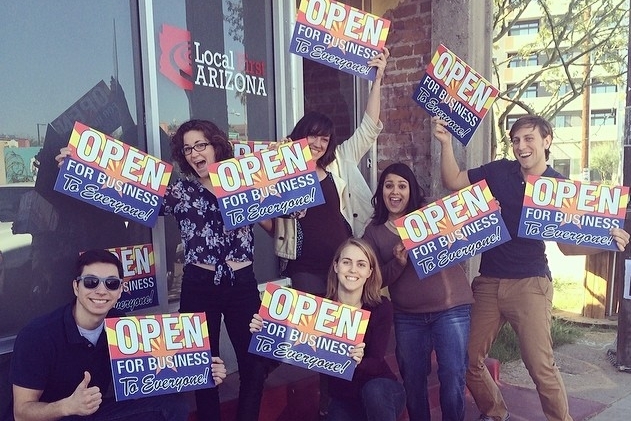 Fuerza Local, the Spanish-language arm of Local First Arizona business coalition, is operated primarily in Spanish to increase access to our organization, resources, and messaging. We gather and network hundreds of business owners every year through this program. Learn more and join today. WE IDENTIFY EMBEDDED PARTNERS TO SHINE SPOTLIGHT ON DIVERSE ENTREPRENEURS. In 2016, we worked with the International Refugee Committee in Phoenix to establish the World Bazaar and Phoenix Community Market, a twice-annual event that brings together refugee and immigrant entrepreneurs for a global shopping experience that connects these business owners with community members. Read about the latest event here. Our Foundation WorkS with Diverse Populations to BUILD PROSPERITY. The Local First Arizona Foundation focuses on community and economic development to build prosperity in rural areas through the Arizona Rural Development Council; for farmers and food producers through the healthy local food initiatives; and for Spanish-speaking micro entrepreneurs through the Fuerza Local Business Accelerator program. Learn more about our Foundation work. There is a great amount of evidence and scientific research that indicates diversity, equity, and inclusion are necessary for widespread prosperity for communities and local economies.